Ames, Iowa – (February 21, 2013) – Farm Credit Services of America (FCSAmerica) will present a $15,000 check to the Iowa Food Bank Association (IFBA) during the Iowa State-Texas Tech men’s basketball game at Hilton Coliseum on Saturday, February 23. The check presentation is part of the “Sack Hunger” program, a partnership between Cyclone Sports Properties, HyVee and FCSAmerica designed to fight hunger in Iowa. The check represents $1,000 for each of the fifteen (15) quarterback sacks by the Cyclones football team during the 2012 season. 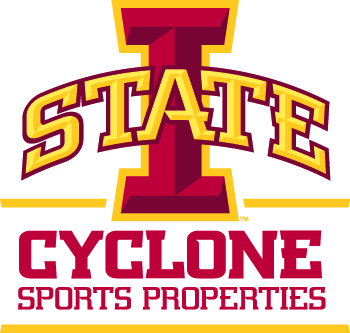 Cyclone Sports Properties, the multimedia rights holder for Iowa State Athletics and a property of Learfield Sports, was integral in bringing together HyVee and FCSAmerica for the “Sack Hunger” collaboration. In addition to FCSAmerica’s contribution, HyVee collected non-perishable food and other donations on “Sack Hunger” Day last November at the Oklahoma football game as part of the program. The donation is part of FCSAmerica’s Community Involvement program, supporting agricultural education, young and beginning producers and hunger and nutrition initiatives. FCSAmerica has 19 Iowa retail offices and supports community initiatives in its four-state area, which includes Iowa, Nebraska, South Dakota and Wyoming.